Lock in a great price for Spetses Hotel – rated 8.3 by recent guests! Nice location, on the waterfront, metal ladders lead you to the sea, free sunbeds with umbrellas, free beach towels once you give a deposit which you get back when you return them. Breakfast was fab, lots of greek delicacies, sweet and savory, the hotel comes with its own restaurant. 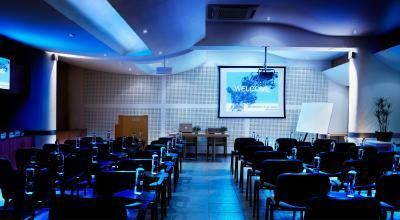 The hotel has an unmatched seafront location with exquisite views. 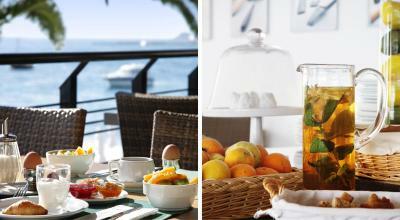 It also has a wonderful balcony where you can have breakfast/lunch/dinner with pleasant breezes and nicely cooked meals. Family owned for decades, it keeps a homey feel and charm. The staff is very polite. You can swim in the sea right in the front of the hotel although there’s no beach. But you can climb down to the water with steps built for this purpose. Nice bar for easy lunches by the water as well. 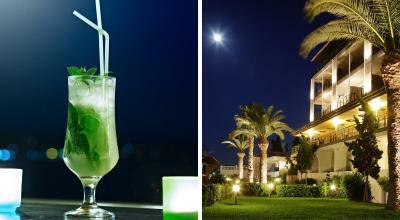 The hotel is stylish and has the best location in Spetses, as it has its own beach, with a bar and sunbathing amenities. The breakfast/restaurant area is a balcony overlooking the seafront, breakfast is very good and the restaurant offers many interesting local and international dishes. 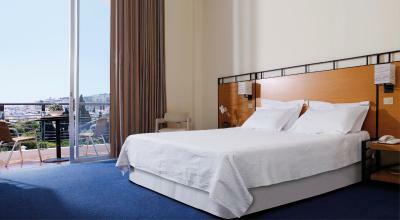 The staff was very attentive and our room was very nice and had a great view. Overall a very pleasant place to stay in Spetses, we will sure come back. A superb unobstructed view of the sea, swimming in clean beautiful water just a few steps away, excellent fresh food at every meal, soothing music, perfectly attentive and supportive staff throughout the hotel, in an ideal location--one could not ask for anything more! 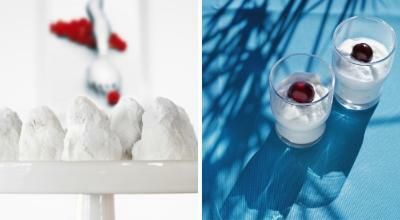 Spetses Hotel is run by family and makes you feel like you are part of their family. It’s been 4 years I stay at Spetses hotel, but this year I took with me 14 friends to see Spetses. They loved their stay. 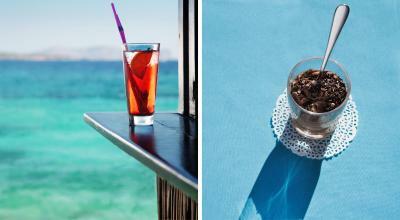 We were all around the island, and they confirmed that they’d only choose Spetses hotel. You can walk to Kaiki beach, take the bus to Vrelos beach from the bus stop facing the hotel, you can have dinner next door at the best restaurant in Spetses which is NTA (Water of Rose.) It’s a beautiful 10 minutes walk to the center. You can also take water taxi from the hotel deck straight to your restaurant on the side of the island or from the club to the hotel. Last but not least, a special thanks to the staff who have taken good care of me for the past years. Very professional, yet friendly staff. Shuttle to and from ferry was prompt and very convenient. Lovely veranda for breakfast, drinks and lounging. The location is ideal. The rooms with full sea view are amazing. Nothing beats that view. You feel you are in a boat. The staff is friendly and polite, eager to help. The location by the water. The terrace with chairs & umbrellas. Spetses Hotel This rating is a reflection of how the property compares to the industry standard when it comes to price, facilities and services available. It's based on a self-evaluation by the property. Use this rating to help choose your stay! 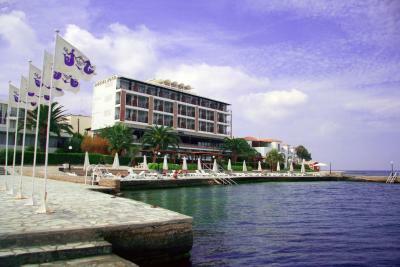 The seafront Spetses Hotel is located just a 10-minute walk from the center and port of Dapia. 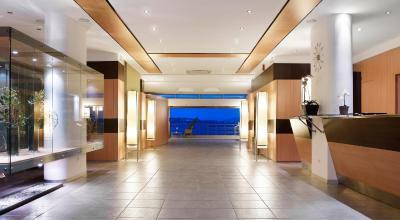 It includes a restaurant and a beach bar, as well as a variety of rooms to choose from. 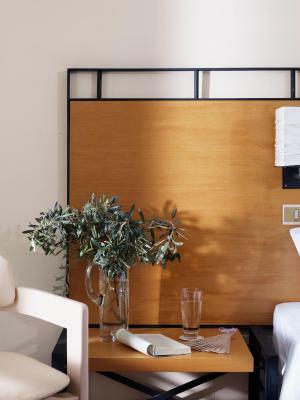 The refined and classic rooms at Hotel Spetses are air conditioned and tastefully decorated. Each has a TV, private bathroom with hairdryer, and complimentary toiletries. 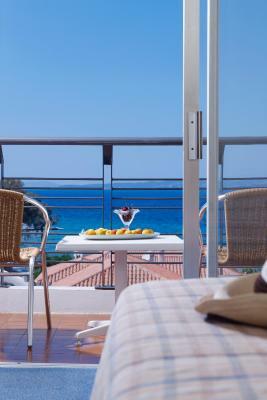 Most rooms enjoy stunning views over the Saronic Gulf from their balcony. Wi-Fi is available free of charge. Buffet breakfast is served each morning at the on-site restaurant. 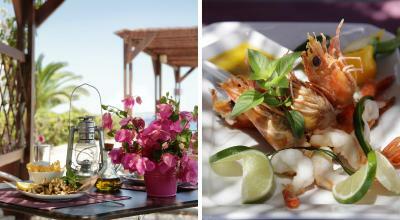 Tasteful Greek dishes prepared with fresh ingredients are served later in the day. 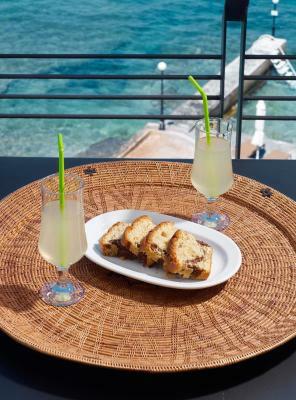 The beach bar serves refreshing cocktails. Guests can take a dip on the beach in front of the hotel and relax at the sun beds available at the stone-paved terrace. Within walking distance, the center of Dapia offers many restaurants and cafes. At the port, guests can find sea taxis which connect to the beaches of Spetses Island. 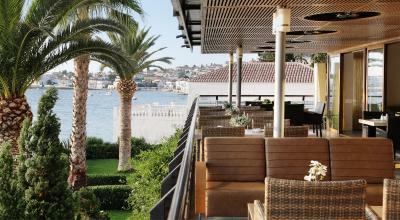 When would you like to stay at Spetses Hotel? 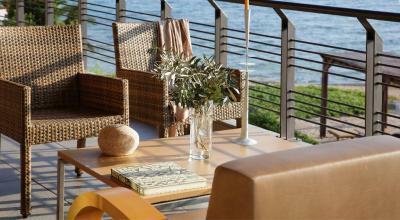 Features a private balcony with partial Aegean Sea views. This room also offers town or mountain view, and includes mini-bar and TV. 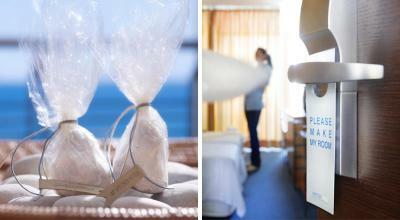 Features a private balcony with partial Aegean Sea views. Includes mini-bar and TV. Please note that 1 of the beds is a foldaway bed. Please note that 2 of the beds are foldaway beds. Features a balcony without a sea-view. Includes a TV, hairdryer and toiletries. 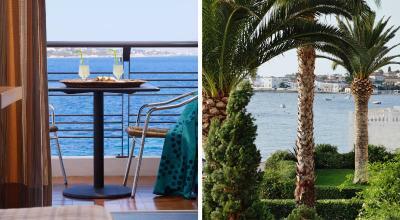 Features a private balcony overlooking the Aegean Sea and the town. Includes mini-bar and TV. 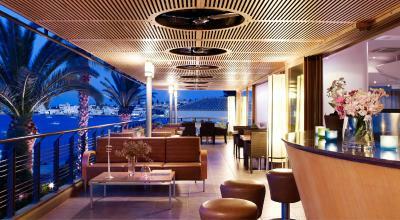 Features a private balcony overlooking the Aegean Sea. Includes mini-bar and TV. 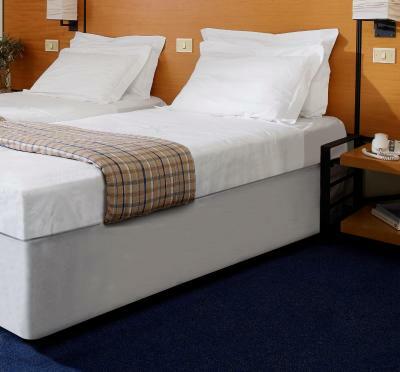 Please note that the 3rd guest is accommodated in a foldaway bed. Please note that the 3rd and 4th guests are accommodated in a foldaway bed. This room type can accommodate up to 2 adults and 2 children. The unit has 3 single beds and 1 foldaway bed. 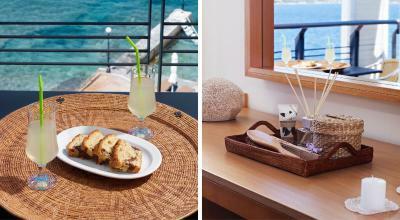 House Rules Spetses Hotel takes special requests – add in the next step! One child under 2 years is charged EUR 6 per night in a crib. Spetses Hotel accepts these cards and reserves the right to temporarily hold an amount prior to arrival. Not enough outlets and there was only a shower curtain liner and not a full curtain. The hotel room was clean but not updated. We were a bit disappointed given the price of the room, including lack of outlets in the room. The hotel is within walking distance to everything needed and the hotel staff were exceptional! 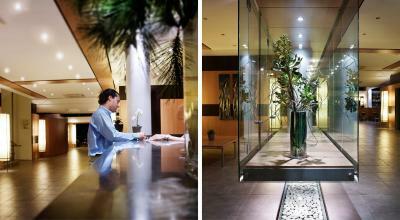 The service and friendliness of the staff made up for the lacking character of the hotel itself. The staff were very helpful and very friendly, reception were very helpful and organised our return water taxi for us. 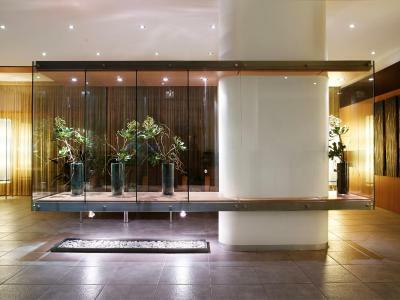 This hotel would certainly be on our memorable list for a return visit. 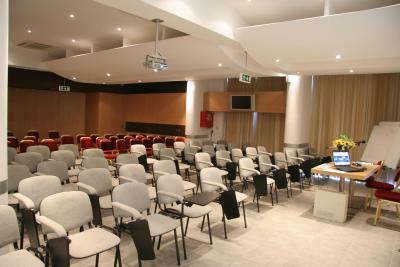 Excellent location, clean room and and warm personnel. The view from the' sea view' rooms was amazing, the crystal clear sea (access through metal ladders) was a dream and the rooms were very clean. Beach towels were provided for free once we gave 10 euros deposit as guarantee. This deposit was returned once we returned the towels at the end of our stay. The Reception staff wonderful, they helped when my friend had lost his mobile whilst in town. They called the 'lost property' department and we found the mobile. The girl who was cleaning our room was very good, always helpful. The bar had fantastic views and refreshing drinks! You can eat something for lunch or dinner in their restaurant too. The 'portocalipitta' (orange pie) was particularly tasty. The breakfast had both cold and hot options. Although the food did not change (every day the same items) they were all delicious e.g. cheese pie, excellent yoghurt, scrambled eggs, greek sausages etc. The first building need ELEVATOR!!! Position and beach! Restaurant very good! I found the matresses very hard and uncomfortable. Slightly old building, but the hotel had not been presented as a modern one (Spetses do not have too many modern buildings). Location is perfect, the beach facilities are fantastic for adults. Everything was correct up to the standard of a family hotel .